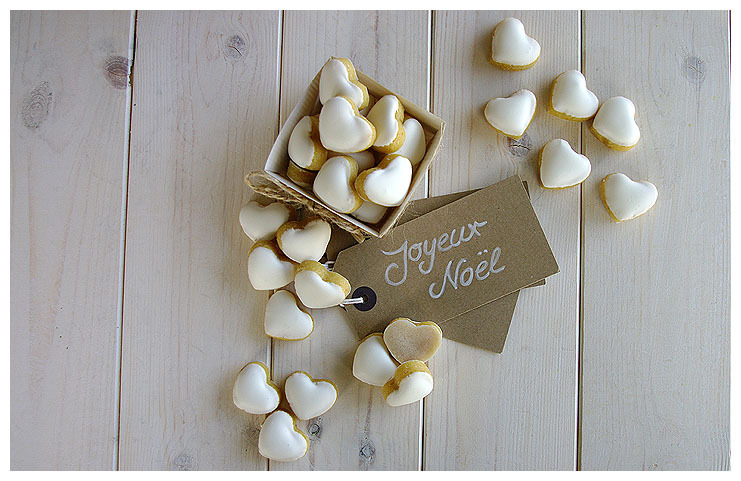 First things first: I know they're hearts, I know they're not the original Calisson shape and I also know that - since it's Christmas - I should have used stars. However, I don't have any Calisson (almond shaped) cutting forms and all the star ones were too big since this is a delicate little treat, not a giant cookie! Glad I got that cleared up then. 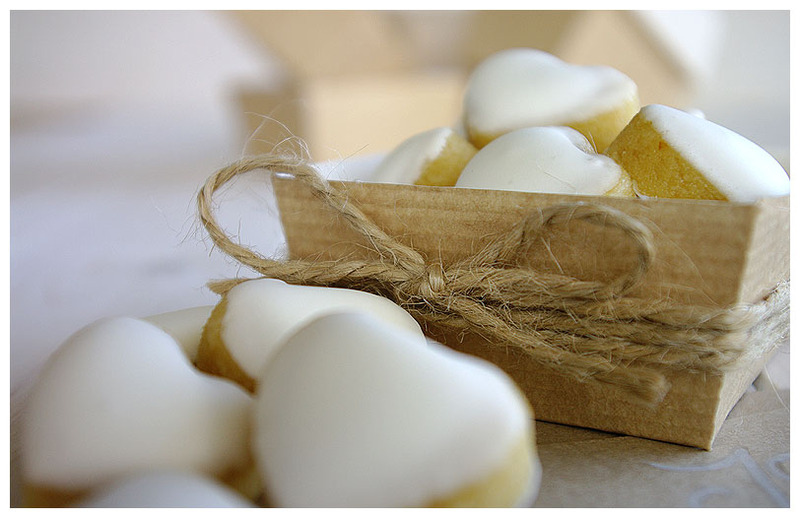 So, for the first time this year I made Calissons as a little gift and as treats for ourselves. Calissons originate from Provence and probably date back to as far as the 15th Century. Whilst it's not too difficult to master, it takes time and patience. I can't say that I have too much of either at the moment, but I believe that the results really are worth the effort. I got 120 little hearts out of it, but this would vary if you use larger cutters. Put the candied fruit in the food processor and process until you have a smooth purée without bits. Transfer the purée into into a mixer (using the flat beater attachment), add the almonds and icing sugar, and mix until you have a smooth paste. This can also be done by hand. Once this is achieved, roll out a piece of grease-proof baking paper, and roll the paste until it's about 1cm thick. Leave to rest for 1-1.5 hours. 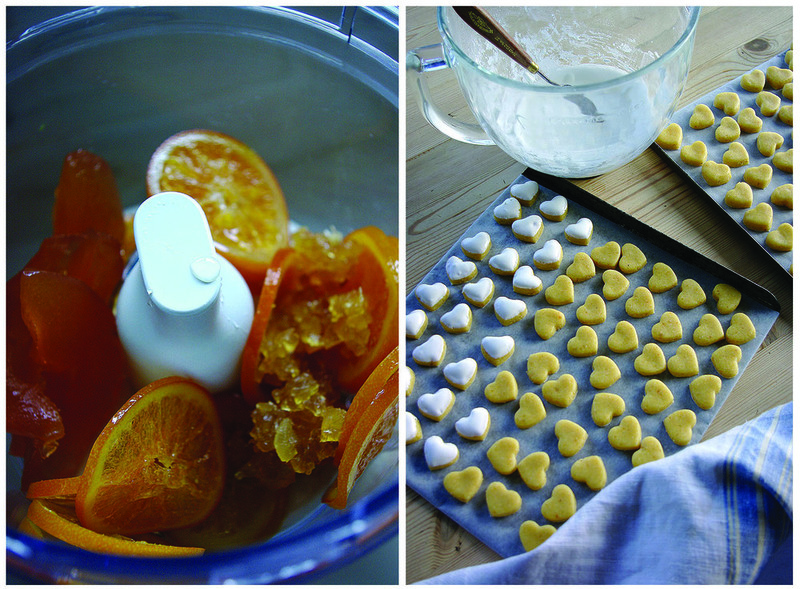 Next, using your cutter, cut out the shapes and put them on a tray where you can leave them to rest. They will now have to dry over night. Using your cutter as a template - and this is where patience is required - cut out a shape from the rice paper for each Calisson you have prepared. Yes. Each. Single. One. The next day prepare the icing by beating the egg white until it's stiff, then slowly (spoon by spoon) adding the icing sugar. You will end up with a thick sugar paste in which you will then have to carefully dip the Calissons one by one. Yes, again. Each. Single. One. Leave to dry for about 2-3 hours. Once dried, stick the rice paper shapes on the back of each piece. I hope you like it and you might want to give it a try yourselves. They are lovely served with tea or wrapped up as special little gifts.